not many cities, and even fewer megapolises, in the world can boast of an evergreen forest within the city limits. mumbai is probably the only city in the world to have a national park within its limits. 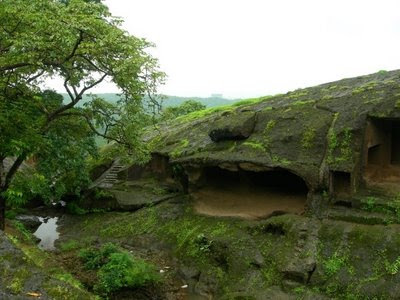 and in the sanjay gandhi national park lie the kanheri caves, a splendid example of rock-cut architecture. these were carved out of rock by buddhist monks over two millenia ago. there are caves that were used as prayer halls - chaityas and some that were used as residencec - viharas.